Opened in 1999, The Playwright in Hamden is one of CT's most authentic Irish Pub, Restaurant and Banquet Facilities. Serving fine Irish fare and American cuisine for lunch and dinner, daily. Every Sunday from 11am - 1:30pm we also offer a traditional Irish breakfast and brunch menu. 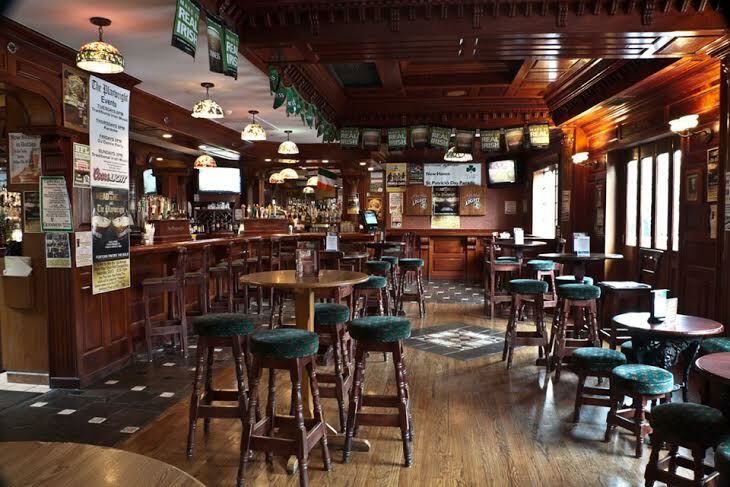 Located in the Whitneyville neighborhood of Hamden, it is where families, friends and neighbors gather to enjoy good food, the perfect pint of Guinness and listen to live music. In addition to our restaurant, pub and outdoor decks, The Playwright boasts the perfect space for your next special occasion or event. Our beautiful and spacious banquet facility can accommodate anywhere from 25-75 guests for a sit down party, and up to 150 guests for a cocktail buffet event! Now is the time to book your upcoming special occasions. We look forward to serving you soon, or bring The Playwright home with you with our extensive Take Out and Catering Menus. Delivery is also available by calling Silverspoon at 1-855-553-3548.